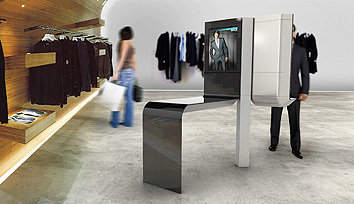 Debuted in 2009 NRF, Frog design and Intel worked together building a point-of-sale kiosk design. 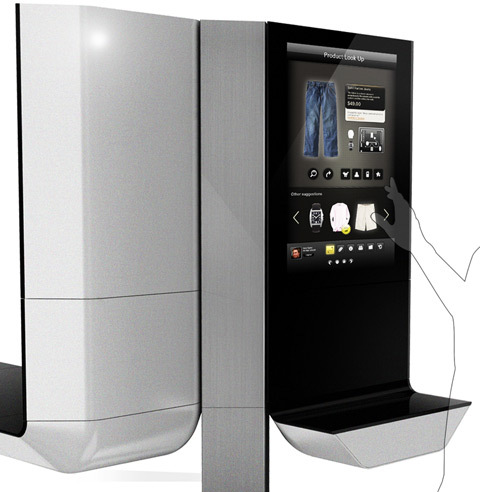 The kiosk combines the experiences from a real life shopping experience with the informative benefit of online shopping. 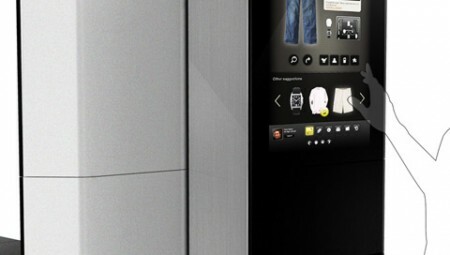 It contains touch screens on different surfaces to allow unique and dynamic employee-customer interactions. 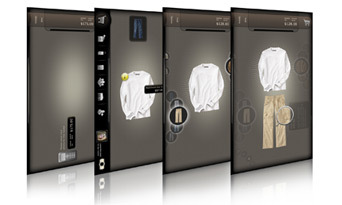 The interactivity of the display allows users to view reviews, recommendations, store information and sales. We are happy to announce we placed 2nd in the @DSExpo Apex Awards competition within the "New Concept" category.